Stacked pay in unconventional plays has emerged as the primary focus for a majority of operators in North America. The number of completion targets range from two zones in the Bakken to more than ten zones in areas of the Permian Basin. Proper development of multi-zone reservoirs is aimed at maximizing recovery factor for the unit without overcapitalizing D&C. This requires maximizing propped height during frac treatment while minimizing fracture overlap, all while facing complications posed by drilling hazards and reservoir pressure depletion effects. In this presentation, results from standard and emerging reservoir monitoring technologies deployed in the STACK are shared (ref: SPE 184862 and SPE 189835). The presentation will include diagnostics deployed to better understand parent well depletion and discuss potential mitigation techniques. The technologies all serve to improve the understanding of fracture geometry, reservoir characterization, providing critical insight for optimizing field development. For this case study, frac mapping was used to identify the number of landing intervals required to effectively drain the Meramec formation; a formation which has produced a number of prolific wells from several benches contained within several hundred feet of reservoir. The diagnostic tools that will be reviewed include: optical fiber monitoring (Distributed Acoustic Sensing and Distributed Temperature Sensing), borehole microseismic, electromagnetic imaging, offset well pressure monitoring, and fracture modeling. The validation tools used include a production interference test, Rate Transient Analysis (RTA), Oil Soluble Tracers (OST), and Fracture Fluid Identifiers (FFI). 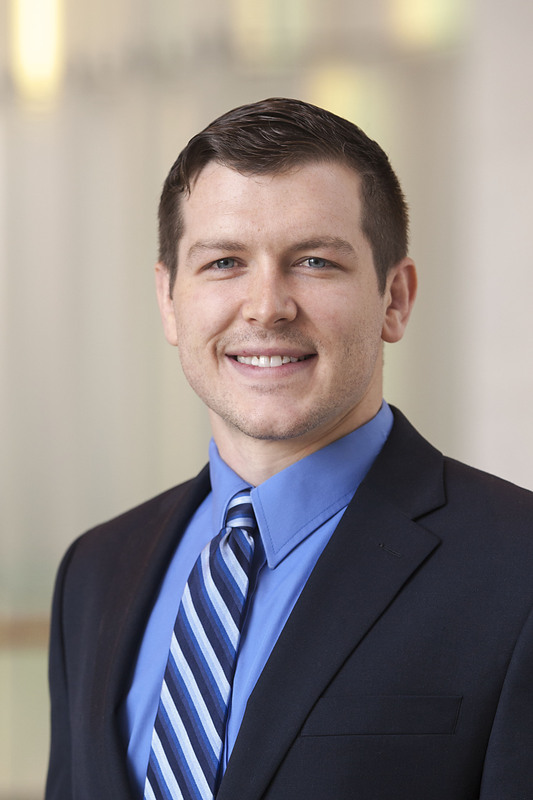 Kyle Haustveit is a completions engineer at Devon Energy. Kyle is focused on completions design, modeling and diagnostics in multiple basins. Kyle is a registered Professional Engineer in the state of Oklahoma and is a graduate from Montana Tech with a bachelor’s degree in Petroleum Kyle is currently serving on the SPE Completions Advisory Committee, the Hydraulic Fracturing Technical Conference committee and the Well Completions for Unconventional Resource Development committee.